Don was very helpful and patient with our dogs and with us. Hopper is our first puppy, and our chihuahuas are basically grouchy old ladies, so we have an oppositional dynamic right now. Don gave us many tools and strategies to reduce our dogs' anxiety and to instill confidence in everyone. Bark Busters is great! We are working with Donald to improve the behavior and obedience of our lab, Koda, who was about 14 months old when we started. By working with Donald in person and by working on his training on a daily basis we’ve seen large improvements in only 2 months time. He used to pull ahead of us on a leash, and now he walks by our side. He used to have poor gate/door behavior, but now responds every time to “stay” until you instruct him to follow you through the door. He responds to corrections of bad behavior much better. While he still has room for improvement in walking and chewing, I’m confident that in our continued work with Donald we will get there. Donald is skilled and calm, and is great at training you to train your dog. Good luck in your pet training endeavors! I adopted Daisy and Ria within a short time of one another. As rescues, they both came with their own set of behavioral issues. We had completed basic obedience classes, but that didn't help with the issues we had - barking, jumping up, basic recall, anxiety. Barkbusters and Donald helped teach me to speak dog and to train them. After meeting Donald and implementing his suggestions, my girls are already so much better behaved! Walks have become more enjoyable, my apartment isn't a giant pee pad, and I'm not getting notes on my door saying my dogs are barking all day long. Best of all - I can still work on basic obedience without bribing them with treats! Donald is amazing! He is so patient both with us and with our dogs. He is knowledgeable and understanding. He really takes the time to make sure he fully understands the issues, and that he provides you with methods to address the issues that actually work. We started seeing a difference in our dogs immediately. They no longer jump on us when we walk in the door, they are listening better, walking better on a leash and are overall better behaved. Donald happily makes sure to go over everything he teaches us multiple times so we know exactly what we need to do, and why we are doing it/ how it works. Donald has also introduced us to several Bark Buster products that are great too, including puzzle toys and training collars. Overall wonderful experience. Donald has done an incredible job helping us with puppy management. He is punctual, patient, thorough and kind with every visit. He is available at the drop of a text, email or call and always gets back to us quickly. Donald has been an incredible resource that is available whenever you need! Penelope has been very responsive to all of the commands and exercises Donald has taught us. Thank you so much Bark Busters! We couldn’t have gotten through this process without your help! This has been an incredible experience and I would recommend to anyone. Donald was a huge help in showing us how to communicate with Susie to train her out of her problem habits. He had detailed, easy-to-understand answers to all of our questions also walked through the exercises for us to do during the week. Susie had improvements within a few days, and we would not have been able to do it without his instruction. Donald put my mind at ease! Having a puppy can be daunting, but after my first session with him, I feel like everything is more manageable and I can already see that my dog, Hank, is responding. Love Bark Busters and everything was explained well. It's also great to know they'll always be there for whatever comes up! My husband and I heard about Bark Busters from the rescue we got our little Duke from. Duke is a German Shepherd Mix, possibly mixed with Pitbull so we wanted to make sure we train him properly from the very beginning, especially since we plan on starting a family soon. We met with our local trainer Donald and went over all of our goals for Duke. Donald was on time, professional, listened carefully to Duke's goals and clearly communicated what Bark Buster's philosophies were and how we can train Duke to the best of our ability. Donald also went through a few exercises that have been a huge help. We are looking forward to working with Donald in the future and can't wait to see Duke's progress unfold! Thanks Bark Busters! Donald is a great trainer. My new dog is very frightened of everything. I called Donald b/c she would not come out of the crate...not even to potty. In one visit, he told me that I needed to build a stronger bond with my dog. He told me how. He gave me toys to intrigue her and help her relax. My dog and I are a work in progress. We are working on getting her to look at me and return to me when called. It is a bit overwhelming but Donald has helped me break it down into small steps that my dog can succeed at ! He has also helped me refine my technique and get better at communicating with my dog. Donald is a very good teacher to humans and dogs. When I have questions or problems, I can call for immediate help or I can make an appointment. The appointments have been scheduled in 24 hrs or less. Donald understands that when I need help....I really need help! We are at the beginning of this process, but Donald has made it clear that he is there for the entire journey! We came to Bark Busters with a concern that our dog, which is a rescue adoption, was acting aggressively to strangers. The dog would reflexively bark and potentially bite, when a stranger directly approached them. With the techniques that Donald, our trainer taught us, we were able to control our dog and change his behavior. Donald is extremely professional and knowledgeable. We have two large breed dogs I knew we needed some direction in obedience training. Our dogs have never been better. Donald gave us the direction that we needed so that we could have well behaved attentive dogs. We have to Cane Corsos, before Donald they listened when they want it to and needed treats to respond. Now that we have Donald our dogs listen to us because they want to not because they feel as though they will get a treat in return. When we take them out for a walk so we don't need to pack our pockets full of dog treats our dogs are waiting for our Direction. I intend to continue to work with Donald and my dogs confidently. Don Cohen is a knowledgeable and patient trainer! We have the comfort now of knowing that with his guidance our family will all be on the same page training our 3 month old puppy. He gave us easy to follow steps to help us gently and efficiently train our pup to ensure we have a polite and calm companion. Don was very helpful explaining the philosophy of Bark busters. While discussing some of our specific goals he included all of our family members. He demonstrated with Bailey so that we had a good understanding of how to use the tools outlined in the program. Don's experience is very evident and left us feeling confident that we had made the right choice. We look forward to our next session. The training by BarkBusters was very helpful! I appreciated that Donald came to us and he was very patient with me as a first-time owner. I have been able to use the tools and exercises that I received during the training to continue working with my dog and he has made great progress in the past 5 months. I am so glad that we decided to use Barkbusters as our puppy training. Donald was promptly at our home at 5:00 and was ready to teach us how to train our puppies. Donald answered all of our questions without missing a beat and we could tell that he truly cares about showing humans how to interact with their puppies. I would highly recommend Donald and Barkbusters to family and friends. I really enjoyed my training sessions with Donald. He helped me learn a lot of new strategies to help with my dogs fear of other dogs and her aggression because of that. He has provided us with useful tools to help Rosie keep going forward and continue to help her improve. Donald was patient and showed me continuously how to correctly train my dog. I enjoyed working with Donald as he was kind and knowledgable. The Bark Buster Training methods have been extremely helpful. We have learned how to better communicate with our dog in ways he understands. We love that Bark Busters employs a hands-off approach, non-physical approach which has strengthened our bond with Speedy and created an atmosphere of strong trust. The daily practice exercises have been extremely valuable and have helped do away with nuisance behaviors like barking for attention and jumping up on guests. We have seen a HUGE improvement in our dogs behavior after just one lesson and look forward to continuing the Bark Busters program. Both my son and I are thrilled with Bark Busters' training techniques and progress made in training our new puppy ,Jessie to become a more considerate and responsive member of our family. Jessie is a lovable and loving dog, but like most puppies, super-energetic and adventurous, chewing on everything she could find and "jawing" on us. After our first lesson with Donald, Jessie's "biting" us stopped almost entirely and within 2 weeks disappeared, relegated now to chewing on her dog toys. Also, she became more obedient and calmer when friends are visiting. The training without food bribery or restraints is humane and kinder to both our lovable Siberian Husky family member and us. Thank you, Donald. We continue to work with Jessie on her "walking manners" and she has become a pleasure to take for walks, more controllable and "mannerly" when meeting other dogs. Donald has been a great trainer for my 5 month old golden retriever/great pyrenees mix. In just a few lessons I am already starting to notice significant progress through Donald's help and reinforcing his lessons. I have really learned a lot from Donald and he has done a fantastic job helping my training with Leo. Our main concern was that Izzie had developed aggression toward other dogs during our daily walks . Donald talked to us about the many factor of training that we should do in order to lead up to Izzie not being concerned with outer influences and keep her attention on us. We worked on leash walking especially and Donald even brought a life-like dog to one of the sessions which demonstrated to Donald her action when she encounters another dog. We are so pleased with the improvement and it is a work in progress. We look forwad to our daily walks now. Our main concern was that Izzie had developed aggression toward other dogs during our daily walks . Donald talked to us about the many factor of training that we should do in order to lead up to Izzie not being concerned with outer influences and keep her attention on us. We worked on leash walking especially and Donald even brought a life-like dog to one of the sessions which demonstrated to Donald her action when she encounters another dog. We are so pleased with the improvement and it is a work in progress. We look forward to our daily walks now. I called Bark Busters because my 2 year old labradoodle started to be aggressive towards puppies at the dog park. This was very new and worrisome behavior that we wanted to correct as quickly as possible. The entry quiz shined light on some other issues that hadn't necessarily bothered us, but could definitely use correcting. After our first session with Donald, our dog wasn't jumping up on people when they entered our home. He is now pulling less on the leash, much calmer when we have visitors, and has stopped exhibiting aggressive behavior at the dog park. Friends and family have commented on his improved behavior, and we are very happy with our results so far. With the skills and exercises that we've learned from Bark Busters, we have been able to refocus our dog's attention on us as leaders. She respects us more now, and she is much easier controlled and more well behaved. Her anxiety is much improved. Everyone that visits our house comments on how much better she behaves! We have 2 dogs, both almost 6 years old. They've spent the majority of their lives slowly taking over the household. Now that we also have a toddler, we decided it was time to take back control where we could. Donald has been great in helping us in that journey. In our first session, he listened to the problems we face with our pups (which include jumping on the baby's highchair during meals, pulling on the leash during walks and whining incessantly until they get their way) and offered guidance, providing hands-on help and making sure we understood the techniques and implemented them properly. In addition to helping us address the problems we knew existed, Donald also taught us behaviors to look out for that indicate our dogs are actually "training" us, which has been incredibly helpful in recognizing and addressing issues we weren't aware existed. The training requires consistency, work and patience, but we have made so much progress since Donald's first visit and have much less stress when it comes to the dogs, now that we have techniques that actually work to correct their negative behavior. He checks in frequently and is genuinely interested in our success. We enjoy working with him! After 3 weeks we are pleased with how Don Cohen has provided us with the proper methods to communicate with our dog Max. Max had barking aggression towards visitors to our home, we have been working on this problem and he seems to be getting better with our commands. Through Don's help Max is much better with walking on a leash. As first time dog owners we were overwhelmed and didn't know where to start with training our very energetic puppy. Donald is very knowledgable and it certainly helps that our puppy, Emma, really likes him (and responds to him). Donald is a great communicator and always checks in on us and our progress with Emma. Slowly but surely we can see the sweet dog that she's going to grow up to be! Don helped us understand our newly adopted Pit Bull. Penny was found roaming the streets of West Philadelphia and while we have been dog lovers and owners for more than 35 years, we had no experience (good or bad) with this breed. It was comforting and reassuring to get his opinion and to gain tools to help Penny adjust to her new home. 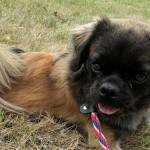 We contacted Bark Busters to help us with our 1-year-old rescue dog. 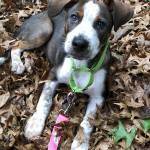 We mainly wanted help with leash training, especially our pup's reactivity to other dogs. Donald has been very helpful and showed us many easy-to-use techniques to improve our dog's behavior both on and off the leash. We got Tank when he was an 8wk old Bernese Mountain puppy. We knew that he was going to be a very large dog so we wanted to make sure that he was well behaved from an early age. I called Bark Busters because neighbors has great success with them a few years ago. We really liked the idea of Tank being in his home atmosphere while learning. It was and is very convenient, Donald is very flexible with scheduling and is always available by email or phone. Donald trained us how to train Tank and the correct way of rewarding and reprimanding him. We practiced multiple exercises while he was at the house and he gave us detailed instructions on how to practice them once he left. He always told us to reach out at any point. I have emailed Donald on multiple occasions about a specific problem and he quickly emails me back with a training video or chat on the phone on how to correct specific behaviors. Tank is still a puppy at this point but he is much better behaved and is still learning. We are very happy with the results that we have seen so far. Don Cohen is a very personable trainer, who makes himself available via phone or email. He has been very flexible, meeting our schedule needs for Ubu's training. He has been well received by Ubu. Most importantly, Ubu is responding well to the training in just a few short weeks. He has a way to go still, but is mellowing quickly and responding well to his new commands. He has adjusted well to the new training collar on his walks. It doesn't require a lot of time to practice what Don has taught us. We are extremely pleased that our Vet referred us to Don. Looking forward to working on other behavioral issues with Don. I highly recommend Don. Donald was extremely helpful with training for my dog Pelham. He had previously worked with us when I had relocated back to the Philadelphia area in June, however I recently relocated to a new apartment in the city and wanted a refresher on our training. Donald was very accommodating with scheduling and was able to set up a time quickly. The biggest issue I have with my dog is his aggressive barking when visitors enter my apartment, as well as barking at noises in the hallway. Donald worked with us on these issues as well as leash walking. Pelham was very responsive to the training and I immediately noticed positive improvements. Donald also sent a timely follow up email reviewing the key points of what we had gone over and what items to practice which was very helpful. I would definitely recommend his training services!! We have seen great results thanks to Donald from Barkbusters on our rescue, Hopper. Donald has been patient with us and Hopper as we work on his aggression, barking, and walking issues. From the first session where the entire process was thoroughly explained to the multiple follow up visits and emails Donald has been great to work with at every step. We were given a lot of useful information that has really made a difference in Hopper's behavior. We are very happy with Hopper's progress! Donald met with us for close to 3 hours on our first session. He listened to our concerns about our dog Zoe, a Snorkie. He then explained how the program works and he described how the corrections worked as well as the order of use. Within a few days we noticed a big change in Zoe . She was responding to our corrections, perhaps not 100% but often enough to know the training and corrections were working. Donald is extremely supportive, always available by phone or email. Although we anticipated a need for several visits, we quickly realized a few sessions along telephone contact Donald, was enough to handle several issues. We are very happy with the success we are having. Donald's support is the key to our progress. Barkbusters is a program anyone could use and find success. Our rescue, Daisy, is a sweet, good natured pooch with a few naughty behaviors. We had zero experience in dog training and needed some help. The Bark Busters trainer called quickly to discuss our concerns and gave us some guidance for coping. The first visit was very thorough. Donald gave us information on diet, toys and training. We saw results almost immediately and continue to see improvements. Donald is a very patient and knowledgable trainer. He takes his time and explains everything thoroughly. He ia always available for phone calls and visits if needed. He really helped me with Jackie Bown's aggression(fear based) with other dogs. I would highly recommend him to anyone. I had an amazing experience with Bark Busters! I have a golden retriever puppy George who is just about 5 months now. He has never chewed anything in the house besides his toys and he does not jump up to greet people when entering the house. Donald taught us how to effectively communicate with George in just a few weeks. I would absolutely recommend his service! Don was very helpful with our dog Pelham. He is a very energetic 1 1/2 year old German Shepherd Mix. He had several traumatic events happen within his first year (we rescued him at 10 weeks, he was hit by a car requiring surgery and then got Parvovirus...poor baby!!!) We recently relocated into a new house with my parents, and Pelham was demonstrating increased aggressive behaviors both with visitors and with my parents (barking, growling). Since our training with Don, Pelham's behavior has improved dramatically! He calms much quicker when visitors enter the house, and no longer demonstrating any aggressive behaviors with parents. His leash walking has also improved. Very satisfied with the results of training! When we first contacted Donald to train our dog, we were desperate for help. I have a 1.5 year old Boston Terrier with an endless supply of energy and a constant need for attention. A steady decline in obedience and a rise in aggression had us worried that we would never be able to do the things wanted to do with our dog - walks, play dates, dog parks, family parties with children, etc. From the first visit, Donald's calm demeanor and extensive knowledge made us feel confident that we could turn our situation around. He educated us and gave us the tools we needed to effectively train our dog. The realization that dog training starts with the owner knowing the proper way to correct behavior has made a huge difference. Although this will be a long road ahead, we've had very noticeable improvement in just a couple weeks time. With a little bit of practice, leash walking, attentiveness, and hyperactivity are improving every day! Donald continues to reach out to us and make himself available between his visits. Its a great feeling knowing that he's always available for advice when we need him. I have tried several different training courses and methodologies, and Bark Busters with Donald has by far been the most effective in helping my dog become a little gentleman! I was amazed at how quickly my dogs responded to Bark Buster's training techniques. Donald gave us clear goals and homework and we were able to easily work with our dogs to correct their issues. I have tried several other trainers, classes, and methods before and this is the first method to really work for us. Working with Donald has been great. The visits and phone support is extremely helpful. Our rescue, Bailey (beagle/boxer mix), is responding well to the training slowly but surely. Don came to our home to help with Holly, our 1 year old Hound/Jack Russell terrier mix. She was having some issues greeting guests and demanding attention; Holly is a very high energy pup and Don was patient with her, as well as with us. Don taught us techniques and a system that Holly responded to almost immediately, although as owners we still need to do "our homework" a little more consistently. Holly has really improved and jumping up on guests/family members is at a minimum. We have seen positive results and I know if we continue to work with Holly using the Bark Buster methods we will have a very well behaved pup. Don also opened up our eyes regarding the quality of food we were giving Holly. This was really important information for us to have as owners. Of course, we want to give our pup healthy nutritious food and we made sure to take care of that immediately...I have passed this knowledge on to many people already. Don suggested puzzle toys and treats that keep Holly busy and it is true that a tired pup is a good pup at the end of the day. We also use these strategies to distract Holly when we have guests over. These methods have worked for us, thanks to Don! We would recommend Don to other dog owners who need some help with training their canine kiddies. We had no idea how to begin training our puppy, Roo (3 month old, chihuahua) and after some research decided to give Donald a call. He was very accommodating with scheduling appointments as we were only able to do evenings and weekends. He was very good at explaining the best way to communicate with our puppy and really individualized the training program for, Roo. We are very grateful for Donald's help in teaching us how to be the "pack leader." We rescued a beautiful two year old boxer in June of this year. In general he seemed to fit in well with our family, but was disobedient, stubborn and at times showed some signs of aggression. We called our veterinarian who recommended Bark Busters. We were a little overwhelmed after our first visit because Don asked us to change our everyday behavior with Noah. He also recommended changing Noah's food. It took some practice, for both us and Noah, but Don's advice and teaching has paid off with a more obedient and content dog. Changing his diet truly made him much less hyper and easier to be around. We couldn't be happier with the services provided by our trainer, Donald Cohen. He really took the time to listen to our concerns and goals and was able to address everything. He spent almost three hours during our initial visit teaching us techniques and providing rationale for each aspect of the training. Our dogs responded really well to him and have been responding well to us as we continue to use the methods that we were taught. Donald was very thorough in follow-up, emailing us afterwards with a complete lesson review, and calling us a few days later to check in and answer any questions we had. We are very pleased and look forward to continue working with BarkBusters. Donald met with us for the first time two days ago and we are already seeing positive results. The exercises work well and our dog is already responding and we can begin to see bad habits fading. We know that we have to keep working with our dog but it is really great to see the techniques working already! We got our first puppy in late January. Needless to say we were a little overwhelmed. The amount of information online about training a puppy is endless. We needed someone to sit down, explain things, show us what works and what doesn't. Donald was fantastic. He has come to our house at least 3 times and we have talked on the phone countless other times. He is always just a phone call away. I don't where we'd be without Donald. Thanks. We have a 3 year old Westie. He is very high energy and has a "determined" personality. With my college-age daughter coming and going and my husband traveling out of state frequently he has developed separation anxiety. Duffy was really getting out of control when his "people" would leave and starting to nip at my dog walker and daughter. I was really afraid he was going to bite someone. I was referred to to Don through my Vet and he has been great. I have really seen a difference with just two lessons and a little practice each day. Don is very patient and speaks to Duffy in a calm voice but you can tell he really loves animals. The jumping up has stopped and Duffy now sits at the top of the stairs and waits to be called. He walks beside me with only a little correction and I would say that the "pulling" has decreased by about 80%. We are still working on front door management but I know that I can always call Don with any questions. I am getting my happy loving dog back again with the sweet Westie personality that I love. Yeah!! We have met with Donald twice and have comunicaed alot through emails. We noticed a great improvment in Tala after only 3 weeks of continued training. Tala is a 2 and 1/2 year old rescued shepard with socialization issues. The first time Donald met her he could just stand there, the second time they met Tala really didn't pay much attention to him at all we all could sit at the table and she actually relaxed and took a nap beside Donald. We recently took a family vacation everyone noticed the change in Tala right away which made for a relaxing fun time for everyone. Tala and my newphew who wouldn't go near before became best buddies. He walked her everyday and even got into the habit of correcting her with bah. Tala and Riley both continue to improve thanks to Donald training methods and guidance. Things went even better than I had hoped! Donald was very patient with ZELDA and especially patient with ME. My dog really responded to his calm demeanor, and his approachable teaching style allowed me to pick up a lot of information quickly. I can already see improvement in Zelda's behavior. All in all, I couldn't ask for a better trainer. Thanks!! We have had two sessions with Donald thus far and Penelope has shown great improvements. As a Weimaraner puppy, she has a lot of energy and Donald has showed us how to channel her energy in a positive way. Her excessive barking has nearly subsided completely! I am excited to continue working on her other problem behaviors in the coming weeks. Donald Cohen came to our home in Shillington, PA and spend several hours with my husband & I one on one explaining the process and methodology clearly. Donald proceeded to work with one of our dogs and the both of us to apply that training immediatly. During that training our dog was sitting on Donalds lap and that is an amazing turnaround given the reason for our contact initially was difficulty meeting new people. The tools Donald provided us upon our first visit have provided us the capability to understand what our dogs need to be comfortable with new people entering our home and with his ongoing appointments, email check in's and discipline on our part our dogs have had a major turnaround. New people in the home is a few barks and comfort when prior to Donald there was biting. Owners need to be disciplined but if you use the Bark Buster's methodology amazing things will happen. We've met with Don 3 times so far and have noticed a great improvement in Koda's behavior. He is an energetic 1.5 year old pitbull mix. His happiness and energy are at times overwhelming. Leash walking has gotten better and he obeys commands much better. We look forward to more lessons with Don to help build the relationship we desire with Koda. Donald is a very comprehensive and competent trainer. He is very knowledgeable and professional and has shown us a variety of techniques that have really helped us with Pepper's training. I would highly recommend him to any dog owner in the area. Pepper is a puppy so he has helped with house training, jumping recall etc., but I am confident he could train any age or obediance level dog. We have been very pleased with the services Donald has provided for Duke. We got Duke from a rescue shelter and he was a handful when we first got him. Donald has been patient with us and been willing to drive to meet us at many different locations. Donald is very accessible and allows us to contact him via phone or email anytime a question or problem arises. Duke is better behaved with the techniques Donald has shown us and we are starting to have less to worry about with Duke's behavior. We highly recommend Donald for any one interested in having a well behaved pup. We are very pleased with the training provided by our Bark Busters trainer, Donald Cohen. Our bishon puppy Lola was quite a handful when Donald began working with us. Donald is very patient in showing and guiding us on how to use our voice and body to show Lola who the leader of our pack is! Things are progressing slowly but Lola is beginning to become the dog we hope she can be. Donald is always there to help us with our question on the phone, email or in our home. He is always flexible in scheduling visits to fit our calendar. 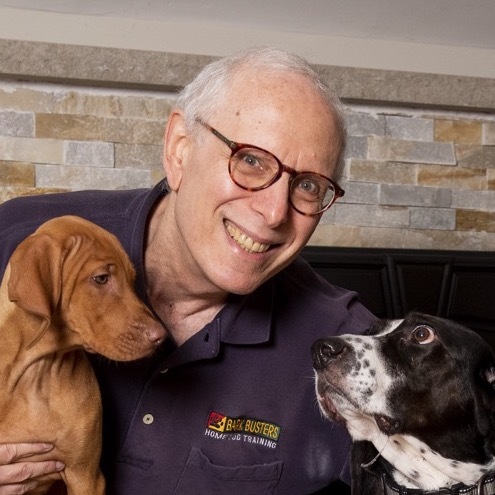 Donald Cohen, our Bark Busters trainer was very easy to work with. He clearly explained how the training worked and it was easy for us to follow. We saw immediate results with both of our mini-schnauzers. And there was even better results a few days after working with them. The training was quite enjoyable and we've already recommended Bark Busters to others!